I am participating in the virtual book tour for Yvonne Perry’s latest book, Shifting into Purer Consciousness ~ Integrating Spiritual Transformation with the Human Experience. 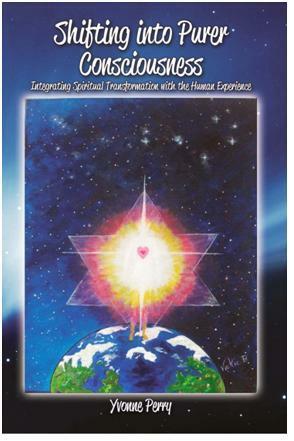 You may learn more about Yvonne and her book at http://shiftingintopurerconsciousness.com. Today, I am sharing an interview that I conducted with Yvonne. Pat Bertram: What is your book about? Yvonne Perry: It’s about the ascension process or great shift we are currently in that is causing spiritual transformation on Earth. Whenever we have a spiritually-transforming, out-of-body, or near-death experience, we are left to wonder what to do next. We may feel like a different person — and perhaps we are! Our souls are expanding as we the accelerated frequencies that came with that significant event. Shifting into Purer Consciousness can help you make sense of what happened and give you tools such as exercises, affirmations, and visualizations to help anchor your light body and Christ oversoul as you raise the vibration of your physical body. 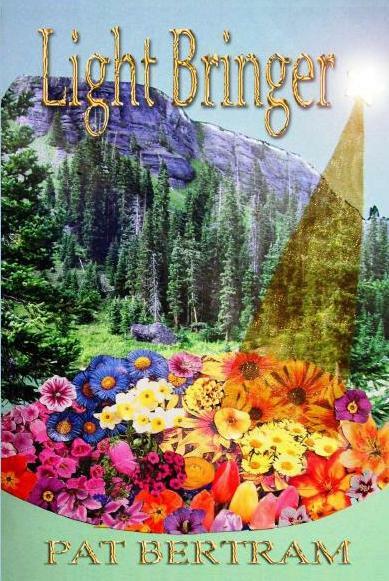 The book is intended to help people personal move forward in their soul’s evolution while helping others and the planet ascend into purer consciousness. Pat: How long had the idea of your book been developing before you began to write the story? Yvonne: When I awoke on September 21, 2010, I was receiving inspiration and decided to write it down. I thought this would be an article for my blog, but then I began thinking about my spiritually-transforming experience that occurred in 1999. I originally started writing that story in 2005, but put it aside, sensing that there was more that I would add to it someday. As I added new thoughts that September morning, the document grew and so did my desire to do more research. Soon, I realized I was writing a book. However, I was in the process of writing Whose Stuff Is This? ~ Finding Freedom from the Thoughts, Feelings, and Energy of Those around You, which I published in February 2011; so, I put Shifting into Purer Consciousness on the back burner until summer of 2011. Yvonne: To support my findings, I read more than twenty books on the topic of spiritual development and the coming age of enlightenment—that’s in addition to all the online research I conducted and online seminars I attended and videos I watched. Pat: Is there a message in your writing you want readers to grasp? Yvonne: Ascension comes after the resurrection. There can be no resurrection until something (the ego, beliefs in separateness) dies. This is why we encounter opportunities for great spiritual growth during the dark night of the soul and other heartbreaking events. The reason why the purification path has been so difficult is because we have resisted the process that brings an end to suffering and dethrones the ego. Whenever we are moving to the next stage of spiritual evolution, we may reach a “ceiling” or encounter resistance. The dismantling of this energetic barrier is a deceptive process because the more we resist it, the more it distracts us and pull our attention away from our goal of oneness. The temptation to fight the ego is strong, and ironically it is in this “struggle” not to engage that we gain the strength to push through the elusive ceiling of separatism. Pat: What challenges did you face as you wrote this book? Yvonne: It seems like everything I wrote about had to be experienced in order for me to own the truth of what I’m sharing. Fear cannot abide where there is love and this book is about coming to a place where only love is experienced in the mind, emotions, and body. I went through some physical challenges that urged me to purify my body, I encountered dark energy and learned how to compassionately release it, I underwent a cathartic release of karma so intense that there were days I really didn’t know if I’d be able to finish the book. I’m glad I persevered because in doing so, I intimately connected to ascended masters, who are now my beloved partners on this journey. I am experiencing the peace that passes understanding and realizing how powerful my thoughts and feelings really are. Pat: Do you think writing this book changed your life? How so? Yvonne: The writing of this book has changed me in many ways, but the most evident is that I can no longer tolerate an omnivorous diet. Animals have feelings—nerve receptors capable of feeling physical pain as well as personality and emotions. They bond with one another and form families and communities; they express sorrow whenever they encounter a loss. I began to ask myself, “Why is it justifiable to eat a farm animal but we would never eat our domesticated pet?” Based upon the Garden of Eden story, no animals died until after humans started to believe they were separate from God. In our return to the sacred within, we let go of all behaviors that perpetuate separation. I am in no way judging anyone who eats meat, but I am asking my readers to consider what needs to be done if we truly want a non-violent and peaceful planet. The answer seems obvious: we must end the death and suffering on our own dinner plate. I now truly enjoy a conscious and mindful plant-based manner of nourishing my body. Besides showing compassion for all God’s creatures and being good stewards of the Earth, it’s also for our own health that we return to eating the vegetation supplied by Mother Earth. If we eat what comes out of the Earth, we might be more conscious of how polluting the Earth detrimentally affects us. Pat: What words would you like to leave the world when you are gone? Yvonne: I’m not gone! I’ve shifted into my light body and still helping others learn to love our creator with all their heart and soul and mind. Yvonne: Yes, my latest book, Whose Stuff Is This? Finding Freedom from the Thoughts, Feelings, and Energy of Those Around You, is a resource for sensitive people who have been unknowingly carrying energetic burdens that belong to someone else. http://whosestuffisthis.blogspot.com/. The Sid Series ~ A Collection of Holistic Stories for Children provides a role model for parents while entertaining children with stories that teach life lessons (http://WhoseStuffIsThis.com). I have also written several books and e-books, mostly on spiritual topics. Pat: Who do you imagine is your ideal reader? Yvonne: While this book can benefit any spiritual seeker, it is intended to help those living in the US, who are fearful of the future due to having been indoctrinated by fear-based religions that teach a dreadful end of time. So many of these dear ones are having experiences that do not align with their religion dogma and they are searching for answers. My book attempts to provide courage and support for those who want to take their spiritual walk up an octave. Pat: Who designed your cover? Yvonne: Vickie B. Majors painted the exquisite art of the ascending human for the cover. Rick Chappell is the graphic designer who put the layout together. Pat: What else would you like to share? Yvonne: Coinciding with the release of my book, Live-Spirit.com will present a telesummit for integrating spiritual transformation with the human experience. Featured panelists include Dr. Caron Goode, Harriette Knight, Sondra Ray, Susan Allison, Kristen Ann, and other experts who share how to develop our souls and planet to a new level of consciousness. The topics to be addressed in this telesummit include ascension, oneness, spiritually-transforming experiences, walk ins/soul exchanges, working with angels and ascended masters, immortality, DNA restructuring, the light body/merkabah, and much more about integrating purer frequencies and flowing with grace throughout the ascension process. Yesterday, the tour stopped at Journey Into Consciousness blog. Tomorrow Yvonne will be on the Journey Into Consciousness Radio Show and I invite you to visit that site to learn more about the spiritual transition we are currently in. See the full tour schedule at http://dld.bz/byrF7 .